Americans are buying more cars than ever. U.S. sales are within striking distance of the record for the full year. But even if total auto sales fall short of that mark, the profits that these sales are generating dwarf the earnings that the auto industry raked in when it last set a sales record 15 years ago. U.S. car buyers flooded showrooms in October, pushing sales up 14% from year-ago levels and making it one if the best months in the industry's history. There were a record 17.4 million cars and trucks sold in 2000, and General Motors said Tuesday that it expects the industry to break that annual record in 2015. "Consumers blew the doors off new-vehicle sales in October," said Rebecca Lindland, senior analyst for Kelley Blue Book. She said low unemployment, easily available credit at low interest rates and cheap gas prices are all combining to drive strong sales growth. "With the average vehicle age still past 10 years old, there's still a lot of opportunity in the marketplace," she said. The big difference this year, as opposed to 2000, is that today's sales volume is being driven by individual buyers. That's great news, since those sales are much more profitable. Back in 2000, a much greater percentage of sales were made in bulk to business, such as rental car companies. U.S. automakers at the time were building cars that buyers didn't want, so they got dumped in large fleet sales at significantly lower prices. And buyers are spending the money for pricey new options, from Internet connectivity to safety features that can warn drivers of cars in other lanes or apply the brakes before a driver sees an obstacle. Such new features are also driving in higher prices and profits. Low gas prices are also encouraging buyers to shift to truck models, such as small crossover SUVs and pickups. That's good news for the US automakers such as GM (GM), Ford (F) and Fiat Chrysler (FCAU), who still dominate that part of the market. GM just reported its best operating profit on record, while Ford just reported a record pre-tax profit. 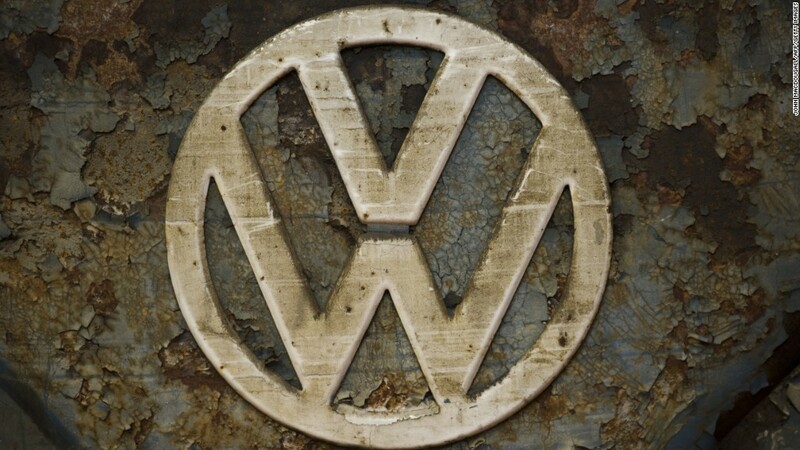 Volkswagen (VLKAY) is the industry's notable exception as the worst performing mass-market brand in October. It's been dogged by a scandal in which it admitted many of its diesel models had software designed to cheat on emission tests. Tuesday it was hit with another scandal when it admitted it also gave regulators and consumers false figures for carbon dioxide emissions and mileage. Volkwagen sales were flat compared to a year ago, but its luxury Audi brand, which also has been caught up in the scandal, posted a 17% jump in sales.